If you want to know what it is like to sit around the table talking with the engaging Kathleen Ruhl, you have a couple of choices. The first, of course, would be to listen to our spirited conversation about a life richly lived in the Chicago arts and education communities, all the while surrounded by a family steeped in medical science. Except, of course, her daughter, the Pulitzer Prize finalist and Tony Award nominee playwright Sarah Ruhl, whose brilliant career has now led to the Chicago premiere of the play that she wrote specifically for her, that being For Peter Pan On Her 70th Birthday. To say that she has pride for her daughter's accomplishments, Ms. Ruhl says, "would imply that I had anything to do with it." But then, she quickly notes, of course, that she did. She is her mother, after all. 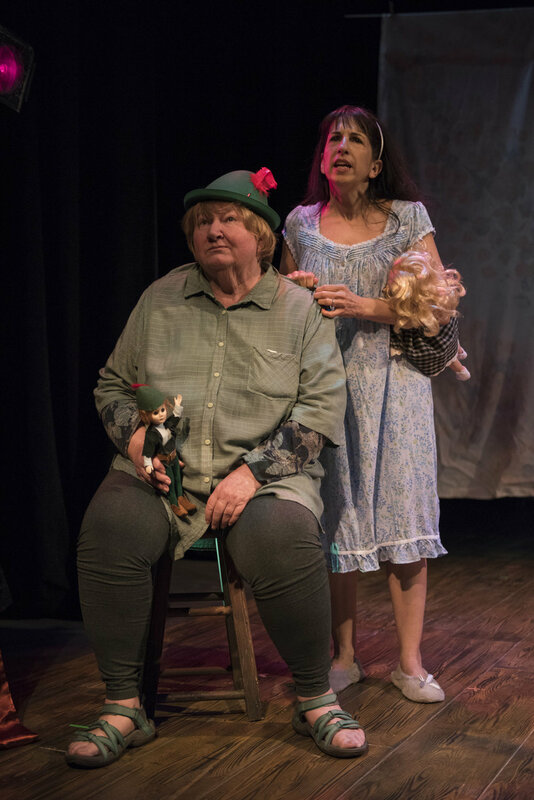 One thing is for sure: Kathleen Ruhl has been a colorful thread of the vibrant tapestry of Chicago's ensemble theatre community since arriving here in 1964 ... a much loved and highly regarded actor and educator who is in a role few ever have the opportunity to portray: herself. 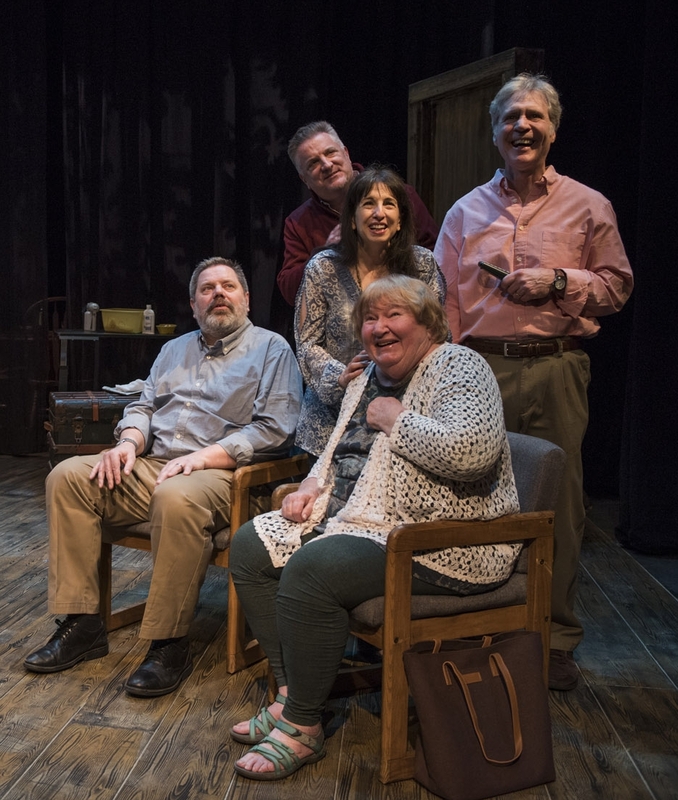 It all happens in the Shattered Globe production at Theatre Wit on Belmont, now extended through May 27th, which is the other way to join into the table conversation with her. 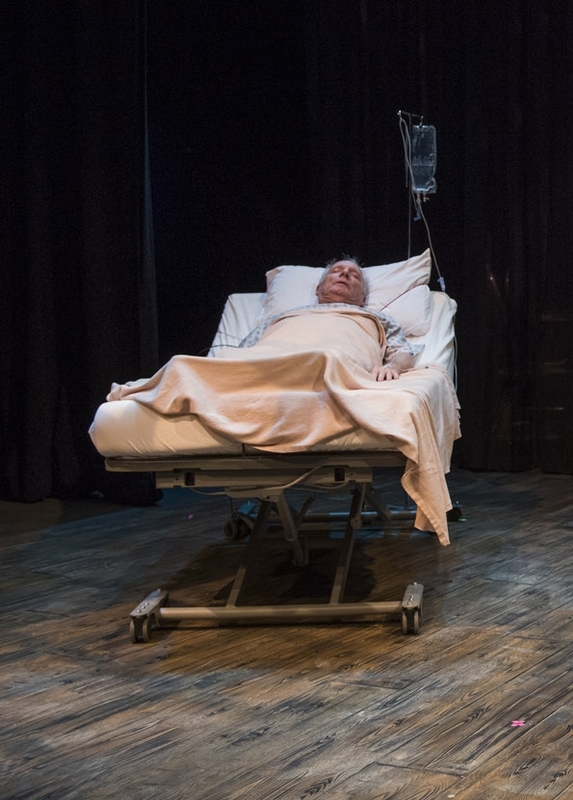 The brilliant ensemble company of five actors (and a dog) reimagine a deeply personal and poignant time in their family, the passing of Kathleen's father and the subsequent wake ... a moving, intelligent and inspiring 90 minute piece in three movements. And in case you are wondering, Kathleen Ruhl is superb in a role that was, well, written for her. There's much more in our delightfully, warm and thoroughly enjoyable conversation on April 17th that felt like a short trip to Neverland with Peter Pan.